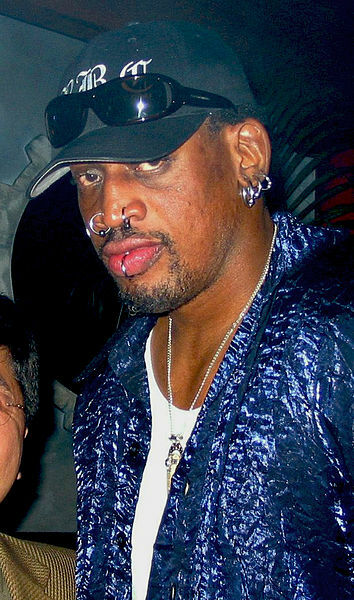 Former Bulls player Dennis Rodman and alternative musician Amanda Palmer attempted to enter Clow UFO base, but were stopped by Clow Airport security. Various sources agree that Palmer and Rodman arrived in limousine and walked to the front desk. Rodman then said, “Pookie” to the receptionist. When the receptionist looked confused, he repeated the word. After several minutes of repeating the word, four security guards approached the pair. Rodman explained that they needed to speak with the ambassador of the Martian Colonies. One of the guards laughed. He explained that Clow has had to deal with many “Babbler tourists,” but she was the craziest he’d ever met. Palmer then walked to Meijer, pulled a milk crate out of her backpack, then stood on it. She intensely stared at customers as they entered and left Meijer. Ten minutes later, Bolingbrook police officers approached her and asked to see her solicitation license. She explained that she was building an emotional connection with the residents of Bolingbrook so they would feel free to give her money. When told that she was on private property and needed to leave, she noted that she never had an empty tip jar in her life, and was not going to leave until someone freely donated. A few minutes later, Mayor Roger Claar approached Palmer. Claar placed a wad of cash into her tip jar. Palmer stepped off the milk crate and collected the money. After Palmer left, Claar placed a phone call. Dennis Rodman is currently barred for life from Clow for matters we cannot disclose at the time. Amanda Palmer is not banned from Clow, but simply lacks the clearance necessary to gain access. If the New World Order or an extraterrestrial government wishes to sponsor her, we will reconsider her status. Palmer and Rodman could not be reached for comment.